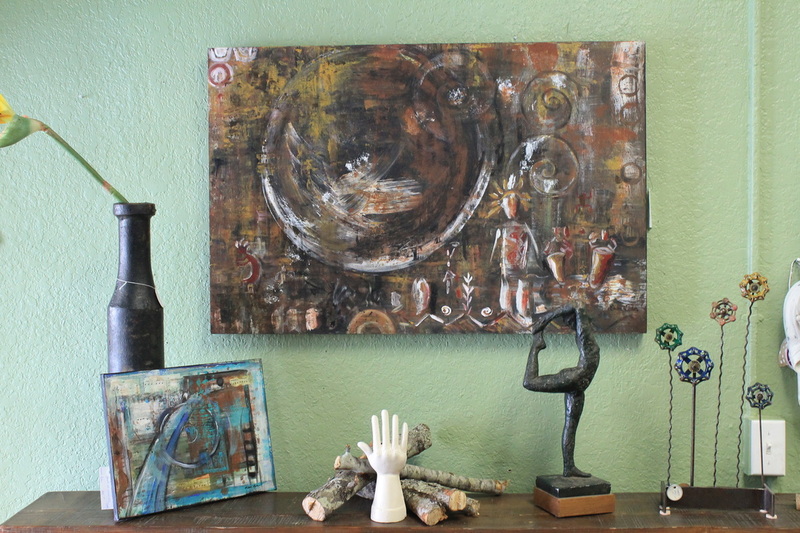 DaVinci Design Studio in Deland, Florida exhibiting August 2015-September 2015. 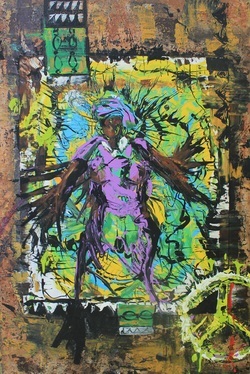 This work is dedicated and inspired by the work of the African women dedicate to peace and healing in their countries. Especially inspirational was and is Ellen Johnson Sirleaf who persevered against all odds to become the first woman president of Liberia. This work and the works on this page are conceptual pieces from museum and gallery exhibitions. 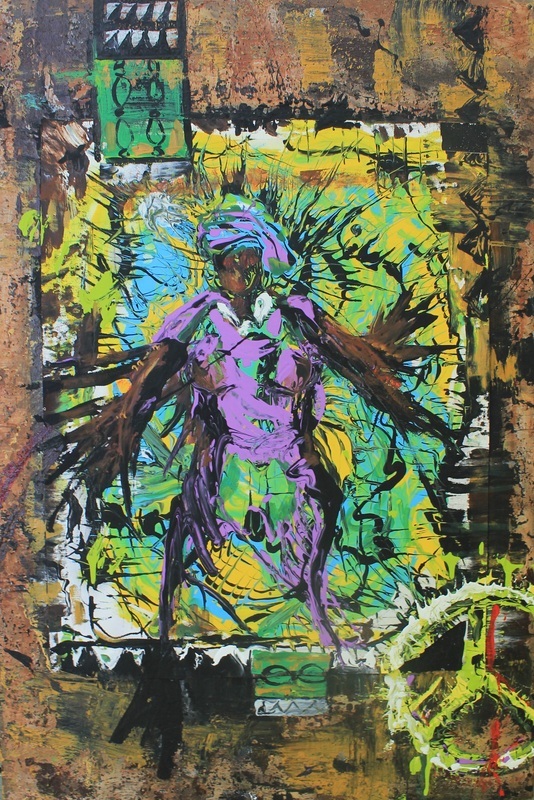 This work has presently traveled with Ellen Johnson Sirleaf to Liberia as a gift that I was able to get to her family members when she visited her grandchildren. 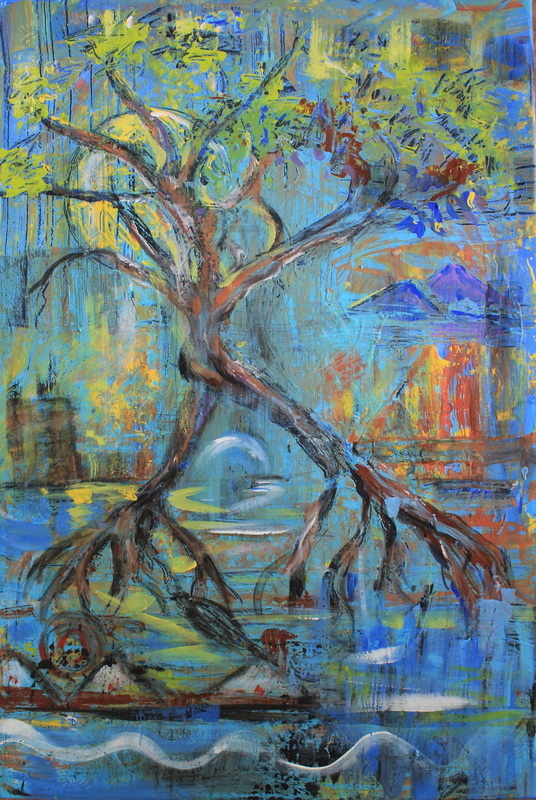 This work was exhibited at the Bridge to Soul exhibit at the USC IGM gallery in Los Angeles from November 17th 2013 for four months. Gallery link below. 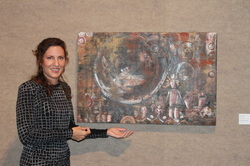 This piece also exhibited at the Florida Museum of Women Artists from November 16th through January 12, 2013.
http://www.gallery14verobeach.com/ I also have a Florida painting on exhibit through January 3, 2014 at Gallery 14 in Vero Beach, Florida. 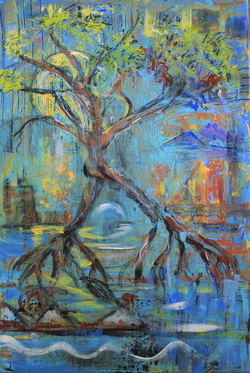 This painting was recently part of the group show of the Florida Biennial VI at the Florida Museum of Art in Downtown De Land, Florida up till March 2012. This painting that I am entering in exhibits at the present time has several techniques layered into the surface. Walking with Roots explores the conflict of wanting to travel with freedom and having a home with family. Also, besides being in water, under a canopy of trees has always been a place where I am most comfortable. Trees feel like home.